In four days the government will shutdown unless lawmakers, specifically Democrats, can come up with some kind of reasonable deal that includes funding for border security. Talks broke down over the weekend when House Democrats introduced what Majority Leader Mitch McConnell is calling a poison pill. "Here’s what happened: House Democrats decided to add a poison-pill demand into the conversations at the 11th hour. It’s a new demand. And it is extreme: A hard, statutory cap on the number of illegal immigrants who could be detained by the federal government. This would result in the release of thousands of criminal aliens and our inability to detain thousands more criminal aliens whom our federal and state law enforcement authorities will apprehend. This is a poison pill that no administration would -- or should -- ever accept. Think about the absurdity of this," McConnell said on the Senate floor Monday. Talks have stalled over Democrat request to put new 16,500 cap on immigrant detention beds for interior enforcement. Republicans want to apprehend and hold violent criminals above that cap. Shelby says 50/50 chance of Deal now. 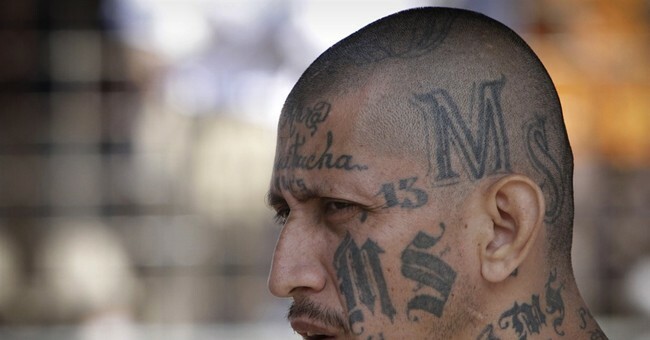 Democrats are not only willing to release criminal aliens into the streets of America through these caps, they're openly calling illegal aliens without violet criminal records "law-abiding immigrants who are contributing to our country." Crossing into the United States without permission is a federal crime. Falsely claiming asylum, as the vast majority of Central American aliens do, is also a federal crime. Democrats' proposal to cap the number of illegal aliens Immigration and Customs and Enforcement can detain, violent and non-violent, proves they aren't serious about border security, securing American communities from people here illegally and that they are in fact for open borders.